So, Fences is up for a lot of Academy Awards this year. It was mostly made in the same neighborhood where playwright August Wilson imagined it—with Denzel Washington’s Troy Maxson roaring across the Hill District of the ’50s like the literal wrecking ball that would smash through the neighborhood soon thereafter. It’s both one of the best movies ever made in Pittsburgh, and one of the most Pittsburgh movies ever made. Those are two completely different things, of course. For sheer Pittsburgh content (regardless of quality), it’s kind of hard to top Sudden Death (1995), which features a fight scene between Jean-Claude Van Damme and Iceburgh (the Penguins mascot) in the kitchen of the Civic Arena, using a deli meat slicer and a deep fryer as weapons. Flashdance (1983) is another Pittsburgh classic—about a steelworker/stripper (! ), in a time-capsule-of-the-’80s sense. It was a massive hit, even though the critics hated it. Picking the best movies made in Pittsburgh, though, is actually really tough. Even five years ago, it was easier. But the recent boom in Pittsburgh-made productions has knocked out some good-but-not-great movies, like Wonder Boys (2000), of the top 10. As always, feel free to disagree, and add your own picks below. I feel like I’m going to change my mind already. 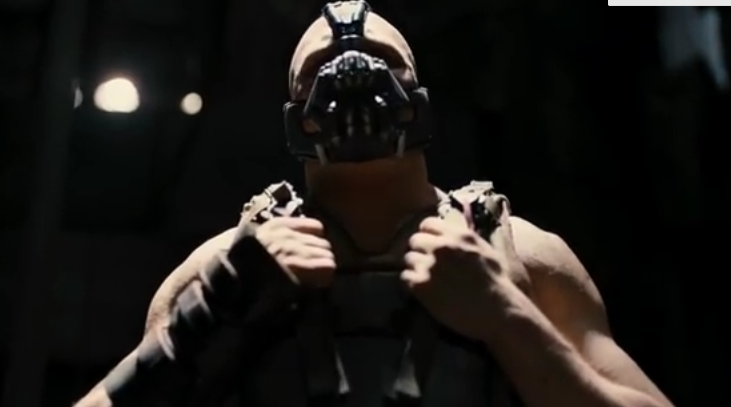 Tom Hardy in “The Dark Knight Rises” (2012). Warner Bros. Entertainment, Inc. and Legendary Pictures Funding, LLC. 10). The Dark Knight Rises (2012) is certainly the biggest movie ever made in Pittsburgh, making more than a billion dollars worldwide. Compared to the first two chapters in Christopher Nolan’s Dark Knight (Batman) trilogy, it’s a lugubrious, murky slog, with the franchise’s least interesting villain (Tom Hardy tried, but it’s hard to act with your mouth covered). Still, there are a few action sequences here that are simply stunning, such as the apocalyptic destruction of Heinz Field on game day. And by this point, the onrushing doom of Nolan’s vision has its own unstoppable momentum. 9.) Lightning Over Braddock: A Rustbowl Fantasy (1988): There’s always been a strong undercurrent of experimental cinema in Pittsburgh, going back to the ‘60s. To single out one superb example, there’s Tony Buba’s sublimely weird Lightning Over Braddock. It’s about both the economic implosion of a working class steel town paradise, and some goofball local character named Sal, who periodically hijacks the whole movie, steering it towards his own esoteric, self-aggrandizing ends. You’ll never see another movie like it. 8.) The Perks of Being a Wallflower (2012): In the social hierarchy of high school, being a wallflower—the shy, observant sort—is only slightly above hall monitors and kids crammed into lockers. But for freshman Charlie (Logan Lerman), there are some perks, like being adopted by an older clique of worldly misfits, including a girl who was a wizard in a past life (Emma Watson). Somehow, of the three great coming-of-age novels of Pittsburgh adolescence, the best book, Michael Chabon’s The Mysteries of Pittsburgh, made the worst movie. The second best book, Jesse Andrews’ brilliant and underrated Me and Earl and the Dying Girl, made a very good movie (just missing this list). However, Stephen Chbosky’s Perks takes the crown, through outstanding performances from its leads. 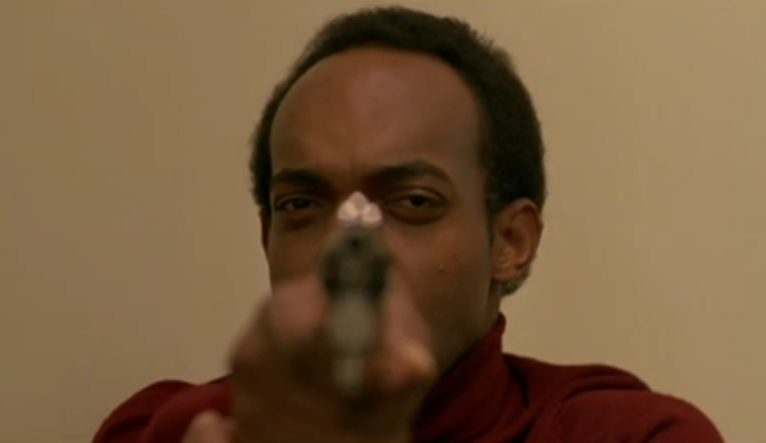 Ken Foree in “Dawn of the Dead” (1978). The MKR Group, Inc. 7.) Dawn of the Dead (1978): The legendary first sequel to Night of the Living Dead has some surprisingly sharp satire of modern consumer culture buried beneath the endless severed limbs and decapitated heads. A few lonely survivors try to ride out the apocalypse holed up in Monroeville Mall, while the undead return to wander endlessly, aimlessly—not that much differently than when they were alive, actually. Who knew the world would end not with a bang or a whimper, but with an all-you-can-eat buffet (of humans) at the mall? 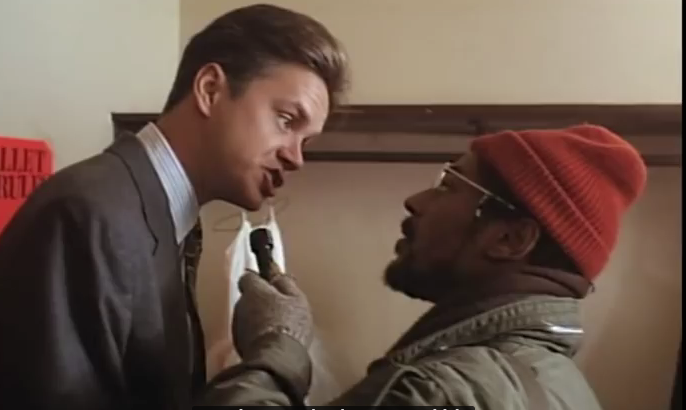 Tim Robbins and Giancarlo Esposito in “Bob Roberts” (1992). 6.) Bob Roberts (1992): Though obviously intended as political satire, it now hits a bit too close to home—like some sort of demonic prophecy foretold. Actor/writer/director Tim Robbins plays a genial folk-singing fascist, an entertainer who makes the jump to a Pennsylvania Senate race by preying on the fears and worst instincts of the marginal and the gullible. He cleverly inverts Bob Dylanesque protest songs into anthems about lynching drug dealers (and users), and the lazy immigrants and welfare queens living large on your unwitting largesse: “Times are Changin’ Back,” “Retake America,” “My Land.” It’s funny and ridiculous until, suddenly, it’s not. Still probably less absurd than our current political reality. 5.) Fences (2016): It’s impossible to know how this will age, or how it will relate to the rest if Denzel Washington adapts all 10 of August Wilson’s Pittsburgh Cycle plays for the screen. At times, Fences feels more like a play than a movie, but that’s really the only criticism that sticks. By now, the role fits Washington like an old catcher’s mitt. He and Viola Davis reprise the roles that won them Tonys on Broadway, wearing the pain and sorrow and fleeting bits of joy of their fenced-in characters as if August Wilson is still watching. 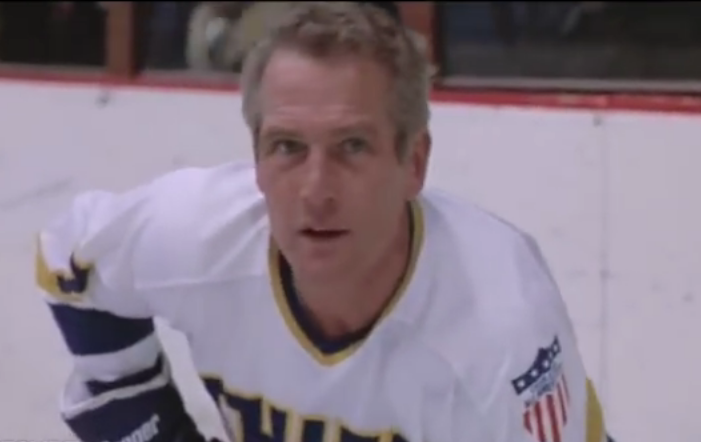 Paul Newman in “Slap Shot” (1977). Universal Pictures. 4.) Slap Shot (1977). Another genre that rarely gets respect is the sports movie. Slap Shot (shot in Johnstown, Pittsburgh and upstate New York), might be the funniest and best movie about sports ever made. It’s a rite of passage for hockey fans, and explains the pugnacious, blue-collar soul of the sport like nothing else. Though it’s easy to miss amidst all the blood and unbelievably crude jokes, there’s also an undercurrent of foreboding here—adroitly depicting a looming crisis of masculinity, when the mills and factories are shutting down, and people are clinging to any bit of hope and camaraderie they can find. 3.) The Deer Hunter (1978): This film is a panoramic portrait of mill town martyrdom, as souls forged in the steel mills of Western Pennsylvania are fed into the final furnace of Vietnam. Robert DeNiro, Christopher Walken and Meryl Streep all appear at the peaks of their respective powers. From the wild Russian Orthodox wedding to the prison camp game of Russian roulette, this is the sort of cinematic moonshot that either launches or detonates careers. For Michael Cimino, it was the former, until its catastrophic follow-up, Heaven’s Gate (1980), became the latter. 2.) The Silence of the Lambs (1991): Serial killers have kind of been done to death (sorry), but it’s hard to overstate how unsettling and original this seemed back in 1991. It won Academy Awards in the Big 5 categories: Best Picture, Best Actor, Best Actress, Best Director and Adapted Screenplay, which never happens, and horror movies rarely get nominated for anything in the first place. Also, the house in Fayette County (which is pretty nice!) where the killer, uh, did bad stuff, took forever to sell, because . . . well, we don’t really know. But go ahead, you try to live there. Judith O’Dea in “Night of the Living Dead” (1968). 1.) Night of the Living Dead (1968): In town for the Pittsburgh premiere of Land of the Dead in 2005, filmmaker Quentin Tarantino mentioned that the American independent movie was born in Pittsburgh with George Romero’s Night of the Living Dead. Romero (who previously worked on Mister Rogers’ Neighborhood), along with some friends, family and friends-of-friends, didn’t realize they were inventing the modern horror movie or a zombie genre that still refuses to die. The claustrophobic, walls-closing-in sets, shadowy black & white film, and tense, wartime newsreel-like cinematography weren’t selected to maximize terror—they were just cheap. The guts and innards yanked from screaming victims weren’t elaborate special effects—they were pieces of meat the butcher shop didn’t want. Duane Jones wasn’t intended to break new ground for African-American actors—he just gave the best audition. In 1999, the movie was selected for preservation in the National Film Registry at the Library of Congress. Got a favorite movie made in Pittsburgh that we didn’t mention? Here’s your chance in the comments below. Few things set me to trembling like those four innocent words. 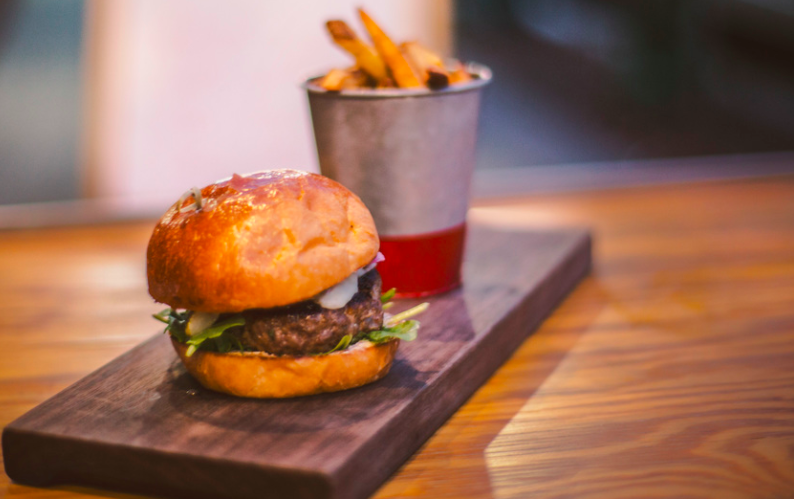 Whether it’s a high school friend visiting for a night or a few relatives in town for the weekend, we all end up getting saddled with the unenviable task of selecting a dinner spot. And it’s not always easy. Your grandma wants something quiet, your cousin wants something cool, your uncle wants something cheap—and you just want to get it over with. There’s enough to be stressed about during the holidays without panicking over reservations. Sure, you could just head to Primanti’s and call it a day. But iconic though it may be, Pittsburgh has plenty more to offer. That’s why we’ve drawn up this handy guide to dining out with out-of-towners. Read on for recommendations tailored to all the family, friends and long lost lovers visiting Pittsburgh this holiday season. 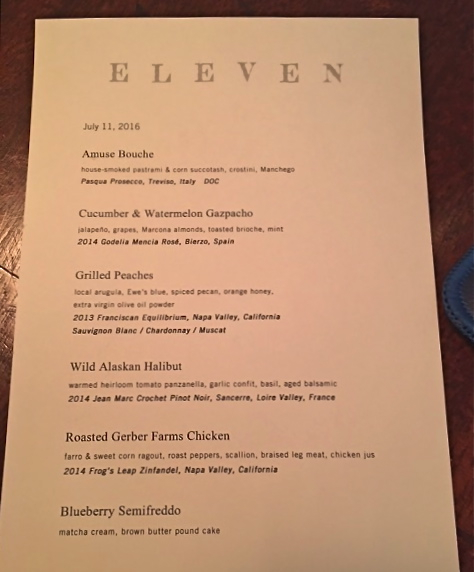 A special menu for a private party at Eleven. The Visitor: Your well-off parents/grandparents/mysterious benefactor—and they’re picking up the tab. Why: What to do when someone else is paying but you’re picking the spot? You don’t want to choose the fanciest place out there or select somewhere with strange or fussy cuisine. Eleven strikes a perfect balance between formal and casual, bold but familiar. Chef Eli Wahl and his talented team create unique takes on classic American dishes, from crab cakes to strip steak. Located in a former warehouse in the Strip District, Eleven sits at the intersection of elegance and good old Pittsburgh grit. The Visitor: Your Dr. Oz-obsessed aunt, who is avoiding a new food every time you see her. Why: Though Pittsburgh food has an artery-clogging reputation, Eden provides a cozy haven for nearly any dietary preference. The entire place is gluten-free (good news for those concerned about cross-contamination) and almost 100% vegan. With a seasonally rotating menu heavy on inventive raw dishes and chefs sensitive to food allergies, Eden pays attention to the eaters that other restaurants ignore. The Visitor: Your childhood pal, who still lives at home and is perpetually broke. 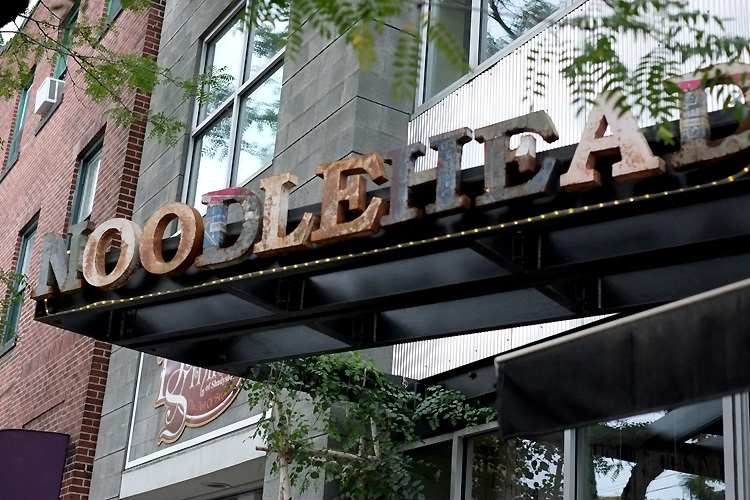 Why: Noodlehead is no-frills—they’re cash only, the menu rarely changes, and they don’t even have a phone number. But unlike plenty of places that make the claim, they actually pass the savings on to customers. Their small menu boasts a mix of classic Thai dishes and house specialties like the Street Noodle #1, an addictive combination of fried chicken, rice noodles and an umami bomb of a sauce. And with a BYOB fee of a measly 50 cents, you’ll leave full and tipsy for less than 15 bucks. Meat’s the draw at Gaucho Parilla, the Argentinian restaurant that packs them in. The Visitor: Your gym rat brother, who wants heaps on heaps of meat. Why: For the first two years or so that it was open, it was nearly impossible to get a seat at Gaucho Parilla Argentina. And now that the Strip District destination has tripled in size? Well, it’s still tough. But that’s a testament to just how good this Argentinian shrine to beef really is. Landing on Yelp’s Top 100 Places to Eat in the U.S. for the past two years, Gaucho cooks everything on a wood-fired grill, from blood sausage to flank steak—and even the occasional vegetable. The Visitor: Your NYC/Chicago/LA friend, who still can’t understand why you’d live in Pittsburgh. Why: You could try to wow a skeptical friend with any number of glitzy Downtown spots. But chances are that they’ll know a place back home that does it bigger or better. Instead, why not blindside them with somewhere that’s Pittsburgh through and through, of which no equivalent exists beyond our hills? Max’s Allegheny Tavern fits the bill. With old-school German food, friendly people and décor that looks like it’s been untouched for a century, Max’s is as classic Pittsburgh as it gets. The Visitor: A gaggle of relatives who want a restaurant that suits everyone, from your picky younger cousin to your snooty brother-in-law. Dinner at The Porch. Photo courtesy of The Porch. Why: This is always a tough predicament—you need a place with a diverse menu, moderate prices and a whole lot of space. The Porch at Schenley nails it. Surrounded by universities, the Porch is prepared for large groups of all ages and stripes, with ample seating indoors and outside. The menu features plenty of safe bets, from a prime rib sandwich to a rotating selection of pizzas. But with lots of local produce and a rooftop garden, there are enough unique touches to keep everyone happy. At Morcilla, ranked tops in the country. Photo by Adam Milliron. The Visitor: Your college roommate who’s a food trend hawk—she spends more time scouring Eater and Yelp than she does actually eating. Why: Though I shudder at the word “foodie,” we all have friends who proudly embrace the label. 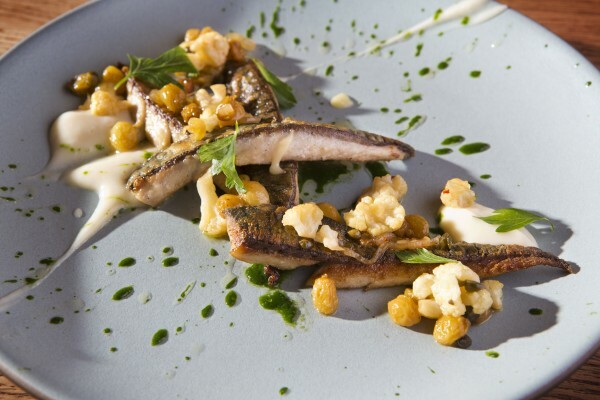 And for a sure-fire bet to dazzle that friend, head to Morcilla. Though sister restaurant Cure continues to turn out world-class food, Morcilla is new darling of Pittsburgh’s food scene. Recently named one of Bon Appétit‘s Best New Restaurants for 2016, Morcilla excels at authentic Spanish tapas, charcuterie and drinks. With a menu ranging from single bite pintxos to huge platters of suckling pork roast, a spread at Morcilla will wow even the most jaded foodie. Burger and fries at Independent Brewing Company. The Visitor: Your boozehound work colleague, who’s sweeping through for a night and wants great drinks to go with the food. 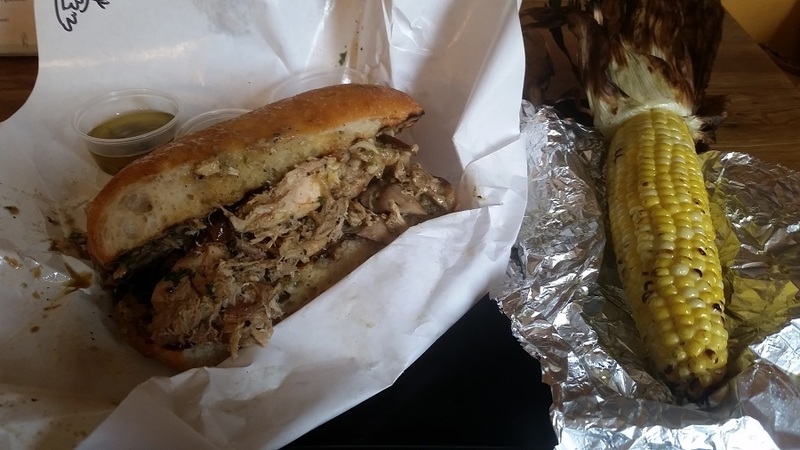 Why: There are plenty of great breweries around town, and there’s a good chance they’ll have a killer food truck parked outside. But for a whirlwind chance to try the best of Western Pennsylvania beer, head to Squirrel Hill’s Independent Brewing Company. Despite the name, they don’t actually brew anything there. They do, however, dedicate all of their taps to the latest and greatest offerings from our region’s 50-plus breweries. Along with an impressive cocktail program and Chef Monique Ruvolo’s Middle Eastern-tinged bar food, the IBC is not your average neighborhood bar. The Visitor: Your old high school flame—and you’re hoping something might be rekindled. Dish Osteria and Bar on the South Side. Photo by TH Carlisle. Why: If seafood, pasta and red wine in a cozy neighborhood joint doesn’t scream romance, then I guess I’m hopeless. 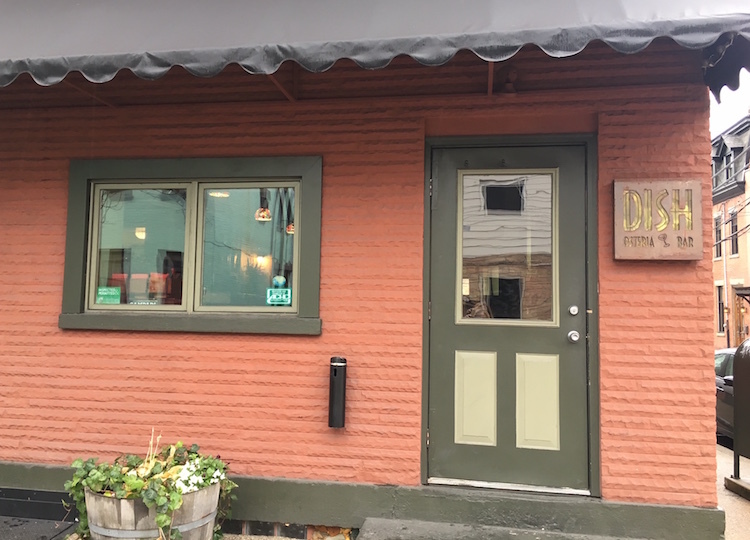 Dish Osteria and Bar has been a South Side staple for 15 years, but with Chef/Owner Michele Savoia at the helm, the quality never wavers. At Dish, the focus is on top-notch ingredients and classic preparations, and the super-fresh seafood is always a good bet. Accompanied by a pick from their mostly Italian wine list, dinner at Dish is the perfect way to kick off a romantic evening. BrusselKale pizza at Piccolo Forno. The Visitor: A total stranger. Why: Once in a while, you get asked to choose a place for someone you don’t know at all. Your dad’s old work buddy, perhaps, or a friend of a friend who just moved to town. In these situations, I can’t think of a more crowd-pleasing food than pizza. Though everyone’s got their favorite place for a pie, Lawrenceville’s Piccolo Forno hits all the right notes. It’s classy but affordable (being BYOB helps), and the atmosphere is lively and inviting. And if you happen to find some weirdo who doesn’t like pizza, the homemade pasta dishes are every bit as good. Looking for more great restaurants? Check out the 16 best restaurants that opened in 2016. Check out our Facebook photo album for more images from the fall 2016 Pittsburgh student tours. ImaginePittsburgh.com is getting Pittsburgh students off campus and on location at some of the coolest employers anywhere. Google, UPMC Enterprises, PNC, startup incubator AlphaLab Gear, software maker Truefit and design/engineering studio Deeplocal were among the workplaces visited in two tours this fall. Student journalists visit Deeplocal in the Strip District. The hope is that young journalists, podcasters and bloggers will share insights about career and lifestyle opportunities in the region with their readers, viewers, listeners and social media followers. Computer science students participated in a tour earlier this fall, because their skills are in especially high demand across all industry sectors and in nearly every company. It can be hard for students to make time to explore beyond campus, and ImaginePittsburgh.com research indicates that even people who grew up in southwestern Pennsylvania are often unaware of the wealth of career opportunities right under their noses. Among the jobs in high demand across the 10-county region include information security analysts, software engineers, accountants, auditors, HR specialists, nurses, medical assistants, engineers and industrial technicians. In October, computer science students from Pittsburgh colleges toured regional employers with including UPMC Enterprises high up in the U.S. Steel building. Pittsburgh is also a fun place to launch a career. The new Graduate Opportunity Index compiled by LinkedIn and Trulia ranked Pittsburgh as a top city for new entrants into the workforce because of its affordability and wealth of entry-level jobs and educated Millennials. The most recent tour broke for lunch at The Andy Warhol Museum – a destination for visitors from around the globe. Students got to mingle with young professionals who have chosen Pittsburgh about the career opportunities here, as well as and hear from Venture Outdoors staff about the wealth of outdoor recreation options here – including great skiing and snowboarding less than an hour’s drive from Oakland. Posted in careers, Changing Demographics, City Centric, Play, Uncategorized, Young Professional. Serious question: Is it fall or not? Many Pittsburghers are asking the same thing and we don’t have any answers. With Indian summer after Indian summer, we may never get to use our flannel! Surely November though, right? But while fall is having an identity crisis, we can take advantage of out-of-doors in all its leafy goodness before we hibernate. Yes, November is already an awesome month – football, Thanksgiving, pumpkin pie – but add in some healthy fun in [what’s left of] the sun, and it’s the greatest fall ever.